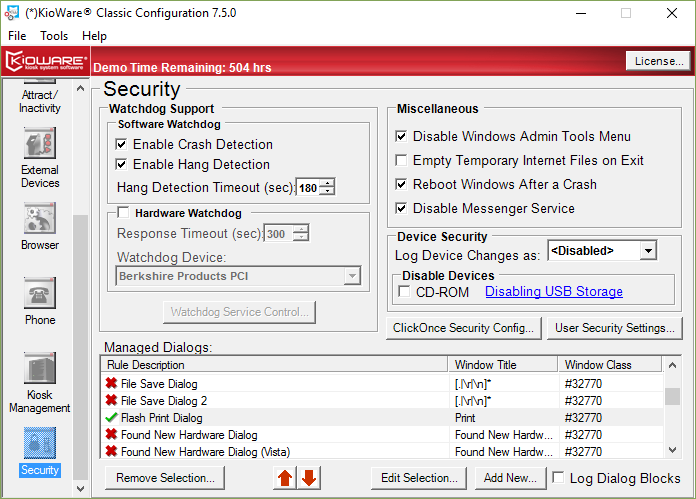 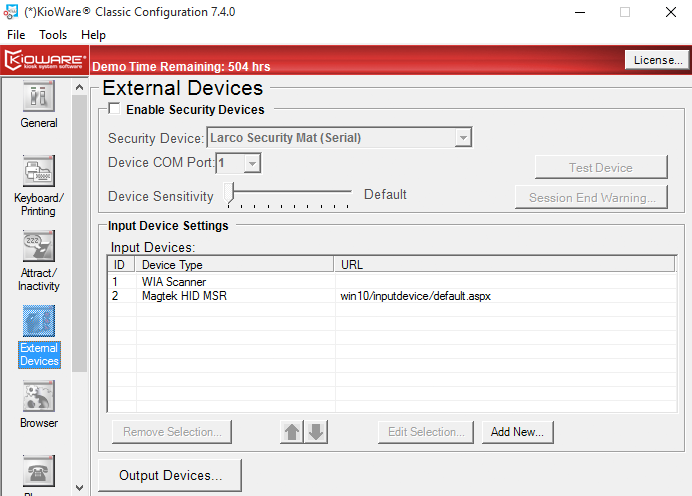 The Configuration Tool component is a program that is used to modify KioWare configuration settings for an individual PC, meaning it is run locally on the PC where KioWare is installed. 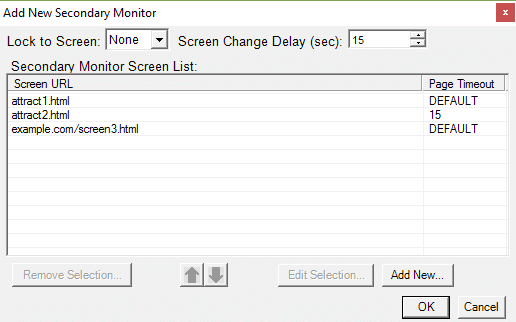 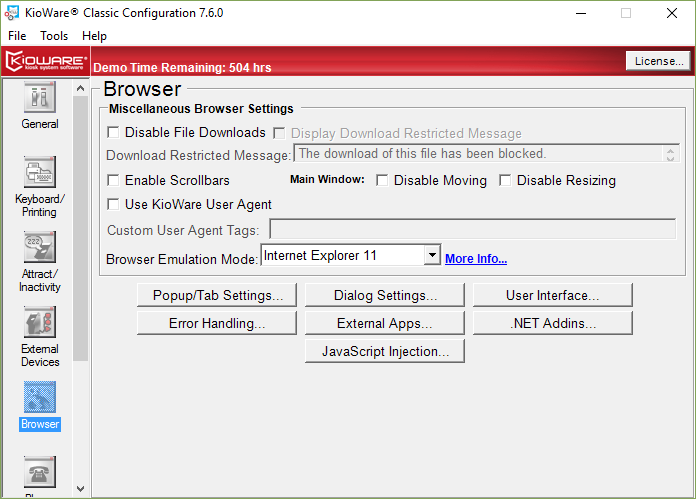 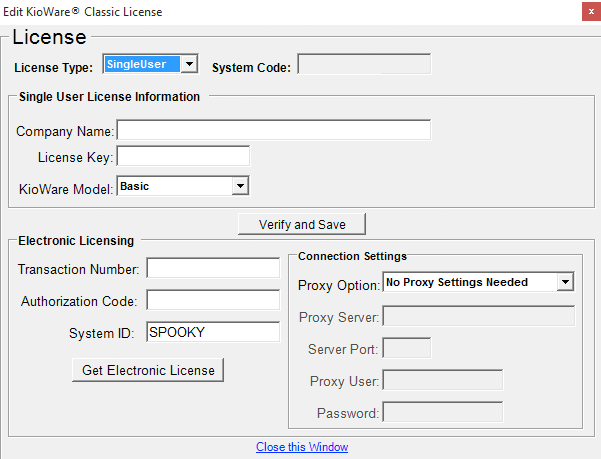 The Application Viewer is what enables your browser application to run in a kiosk mode without requiring reprogramming of your application. 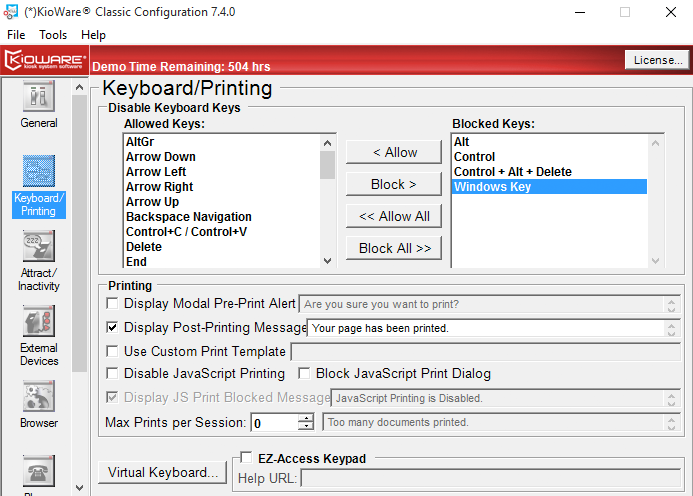 This is also what drives the User Interface, with which your users interact. 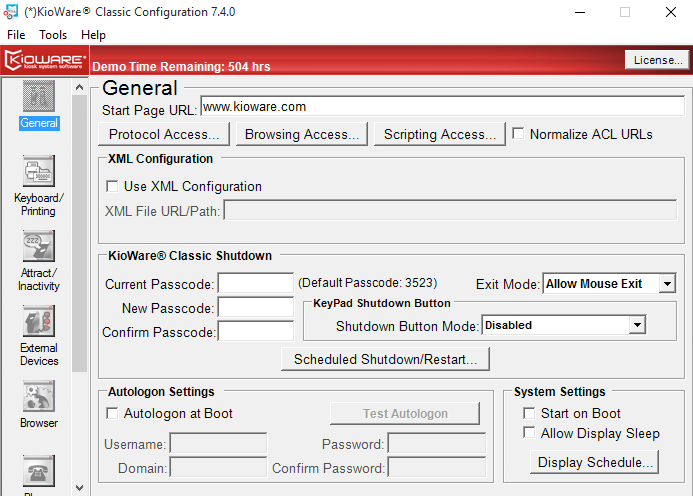 There is only one item in the Configuration Tool that is required for KioWare Kiosk Basic to run and that is the Start Page URL located in the General Configuration button. 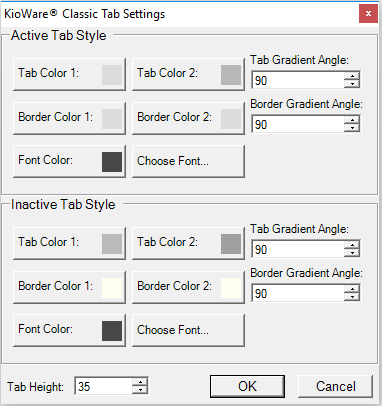 All other entries are either optional or are loaded with default values that will enable KioWare to run your application full screen. 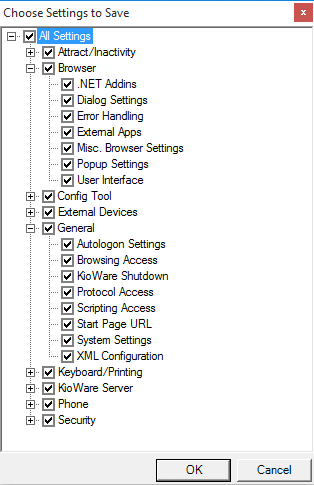 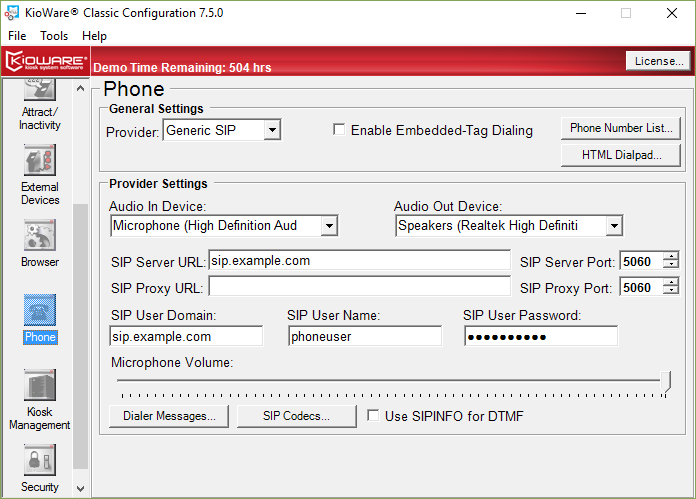 To enable mass changes to your kiosks, the Configuration Tool can also generate and read a XML file containing all of your configuration settings. 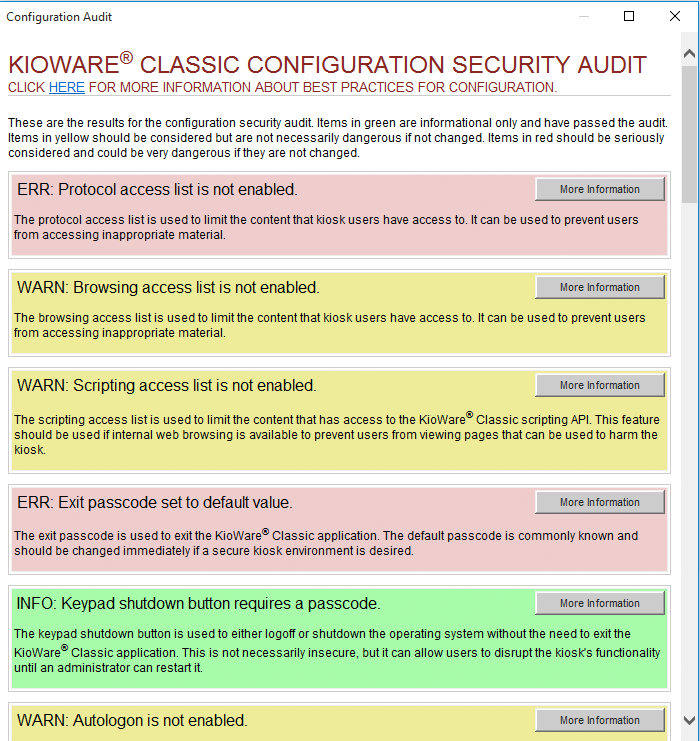 The XML file must be addressable via HTTP or UNC to all of your KioWare PCs, and each time an individual KioWare PC loads, it can be configured to download the XML file and update its configuration.